Preheat the oven at 350°F. Spread walnut pieces in a pie plate and toast for about 8-10 minutes, until lightly golden and fragrant. Let cool. In a small bowl, combine the green onion with sherry vinegar. Whisk in both oils and season with salt and pepper. 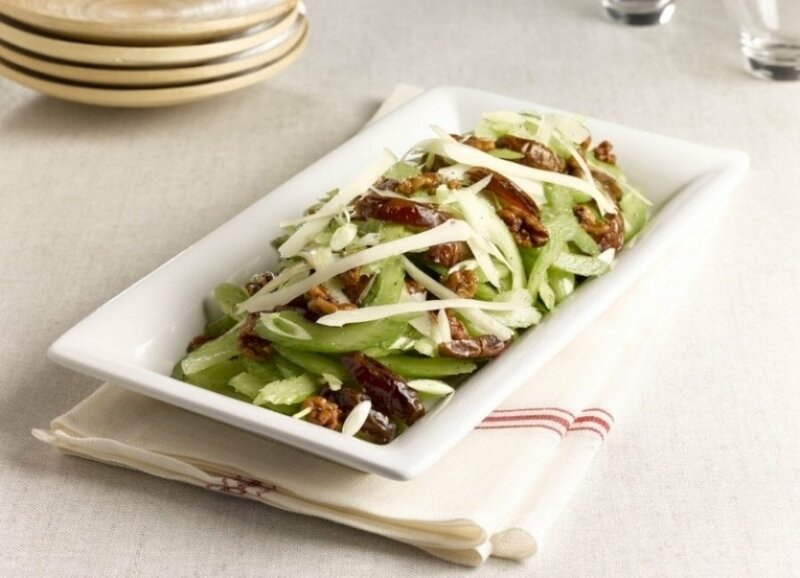 In a large bowl, toss the toasted walnuts, celery, dates and pecorino cheese. Add the dressing and toss. Serve at once. MAKE AHEAD: Slice the celery ahead. Make dressing ahead-keep separate and refrigerate until you are ready to toss together and serve. Add walnuts just before serving.